Before looking at the ingredients, I saw the words "no added sugar". Bingo! It took me a few seconds to understand that the list of ingredients was just the 5 words on the back of the package. As soon as I read them (dates, cashews, raisins, cocoa and natural flavouring), I knew it was the kind of bar I look for (basically anything without refined sugar). When I took the first bite - oh my God! - it tastes amazing! I love it when I find something that tastes awesome and has no refined sugar. 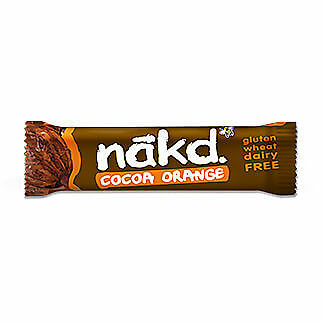 The Nakd bar is a winner!